This week, the Paris Motor Show, widely recognized as the world’s busiest automotive event, provided the ideal setting for Audi to present three new vehicle models, all featuring spectacular sound courtesy of Bang & Olufsen. 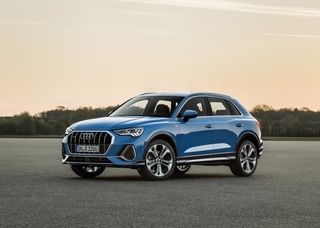 Thanks to the Two-Level 3D technology inside the new Audi Q8, and the Virtual 3D technology inside the new Audi A1 and Audi Q3, these latest Audi models are easy on the ears and on the eyes. First introduced in the 2015 Audi Q7, Bang & Olufsen’s revolutionary 3D sound has taken the listening experience to a whole new dimension in vehicles across the Audi lineup – including A4, A5, A6, A7, A8 as well as in the Audi Q5. Bang & Olufsen’s cutting-edge sound in the all-new Audi Q8 provides customers with two 3D sound systems from which to choose: 3D Advanced and 3D Premium. 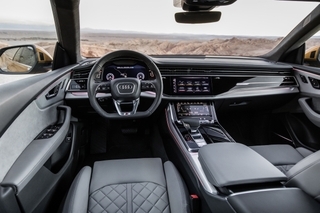 Specifically adjusted to the exclusive interior of the all-new Audi Q8, the Bang & Olufsen 3D Advanced Sound System features 23 active speakers, a BeoCore 23-channel amplifier, 1,920 watts of total output power, Class-D technology, and more. Acoustic Lens Technology delivers superior sound performance while additional headliner speakers extend the 3D sound to the rear seats, enabling full enjoyment of music and movies while offering increased privacy by using loudspeakers in closed enclosures to keep the sound inside the car. For its part, the Bang & Olufsen 3D Premium Sound System features 17 speakers including speakers placed in the upper part of the front pillars, creating a highly realistic three-dimensional sound experience that leverages Fraunhofer IIS’s revolutionary rendering solution for 3D surround reproduction Symphoria® to give the impression of an acoustically enlarged cabin. The 16-channel amplifier delivers 730 watts of clear, crisp sound, courtesy of a Class-D amplifier. With the addition of the compact Audi A1 and Audi Q3 vehicles, the Virtual 3D technology ensures unrivalled acoustics, creating a sense of space in a compact car, all without adding the extra height loudspeakers used in more traditional 3D sound configurations. It took a team of acoustic experts from Audi AG, Fraunhofer IIS, and HARMAN International to develop and implement the perfect solution: a combination of signal processing, intelligent speaker placement and applied acoustic principles, resulting in an impressive 3D surround sound reproduction. Thanks to the Virtual 3D algorithm of Fraunhofer Symphoria®, the Bang & Olufsen 3D Premium Sound System brings fascinating sound to a compact interior and ensures that every passenger enjoys a fully immersive audio experience. 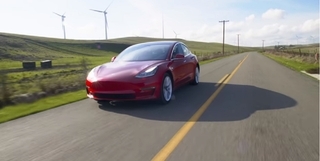 The secret is careful analysis built on psychoacoustic knowledge that enables the intelligent distribution of the input signal into spatial components, which are then fed to the car’s loudspeakers, redefining in-car sonic immersion. 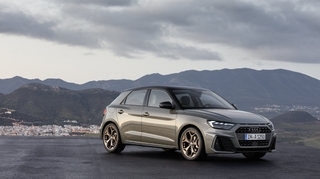 The Bang & Olufsen Premium Sound System with Virtual 3D in the Audi A1/ Q3 features 11/15 active speakers respectively, including four special loudspeakers in the dashboard for a 3D feeling without the need for dedicated height loudspeakers. The system delivers 560/755 watts of total output power implemented with Class D technology and intelligent Digital Signal Processing (DSP) power - the result is a stunning soundscape, ensuring an even more exhilarating drive. 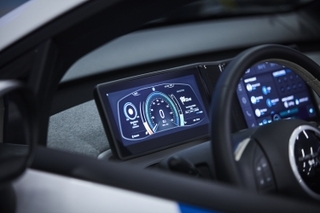 “The ground-breaking Virtual 3D technology uses proprietary technology to leverage the acoustic properties of the vehicle windscreen and psychoacoustical principles to create a highly realistic three-dimensional sound experience without having to add loudspeakers to the car pillars or ceiling. This enables every passenger to enjoy optimal sound regardless of where they are seated, with a broad, clearly defined stage at ear-level and equal, balanced 3D surround sound that provides a true sense of being in the middle of it all.” – Greg Sikora, Senior Manager, Head of Acoustic Systems Engineering Europe, Car Audio.